29 Skirts: Black, Brown, Navy? This weekend was a lot of fun and way too short, as usual. 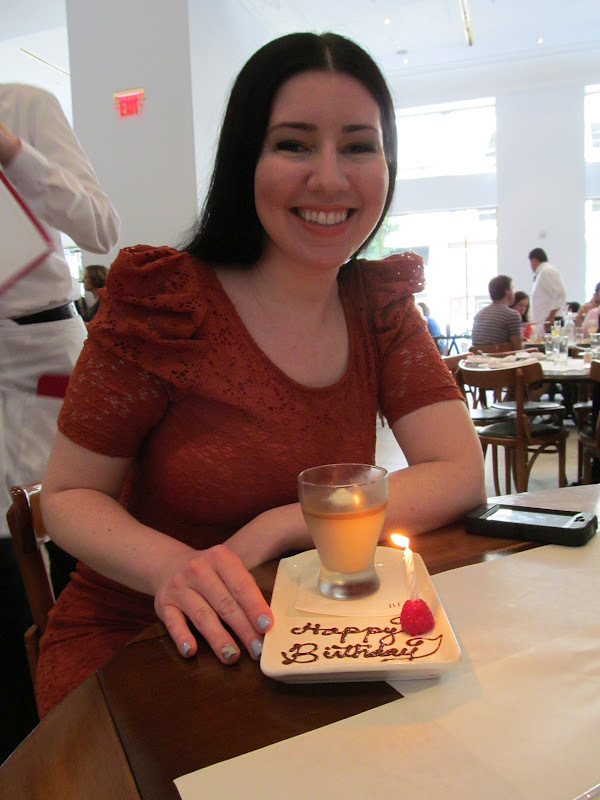 I wore this outfit to brunch for my friend Mary's birthday at Bottega Louie in downtown L.A. It's a pretty cool place. They have an amazing bakery area full of macarons and fancy pastries, and I felt like my slightly foofy outfit fit right in. I'm proud that, aside from the purse, this outfit probably cost me less than $15 because the top was bought with a gift card and everything else came from my favorite thrift stores. And I was pleasantly surprised that these pieces all seemed to work together...apparently black, brown and navy polka dots can be friends. Mary with her birthday dessert, the butterscotch budino with fleur de sel on top. I need to go back just to taste this again. I had to try the melon juice because...how many places serve melon juice? I think it would have been better if it were chilled. This is one of the bakery counters. 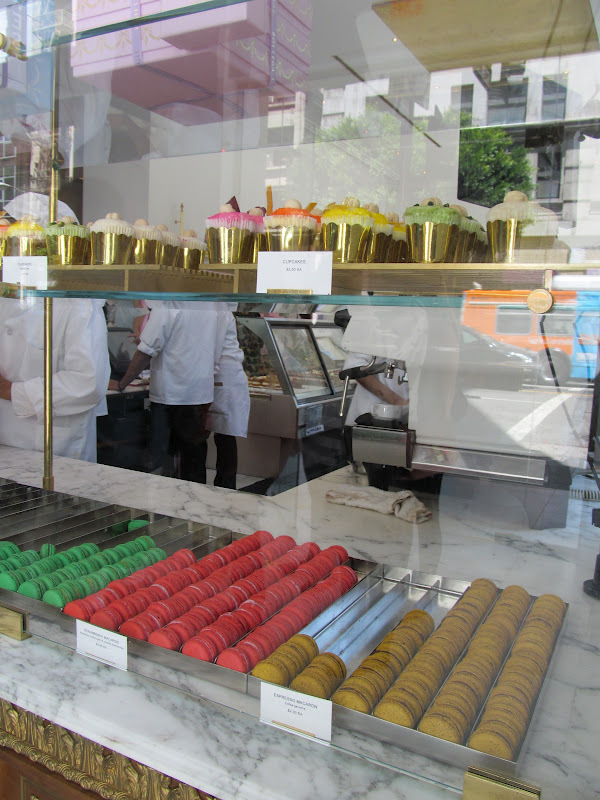 I held back and didn't buy macarons because I like the ones at Euro Pane in Pasadena and they're larger and less expensive there anyway. I didnt realize how friendly these colors would be together but they really do work. I'm digging that blouse. You always look so sophisitcated! I definitely think all of these colors can go together! They're all neutrals after all! I'm really loving your top with the cute bow detail at the bust. It looks great with your dotted skirt.